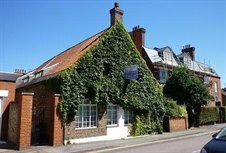 Cattaneo Commercial has just completed the sale of Imperial House and the Malthouse, 18 Lower Teddington Road, Hampton Wick, surrey KT1 4EU to Reside Housing Association. This attractive period office building, comprising 5,321 sq ft with its own garden and mooring backing onto the River Thames, will be used as Reside's Headquarters. If you are looking to dispose of a commercial property please do not hesitate to contact Andrew Armiger on 020 8546 2166.